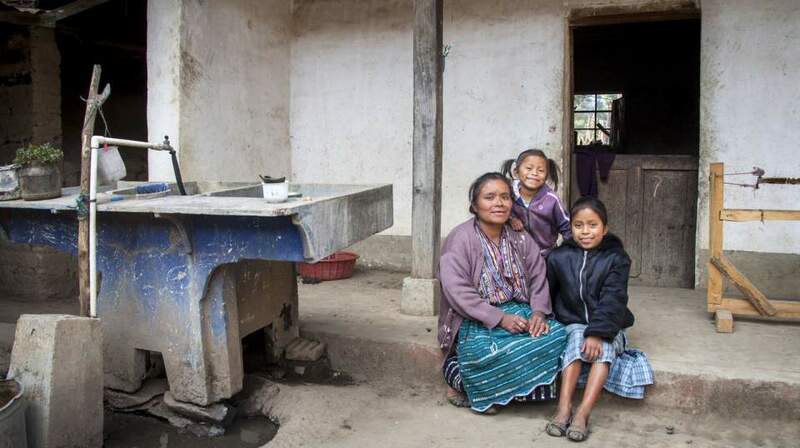 AnnaMaria and her family live off a diet of tortillas and fava beans. Thanks to the power of vitamins, her daughter Velma has the nutrients to grow up healthy and strong. 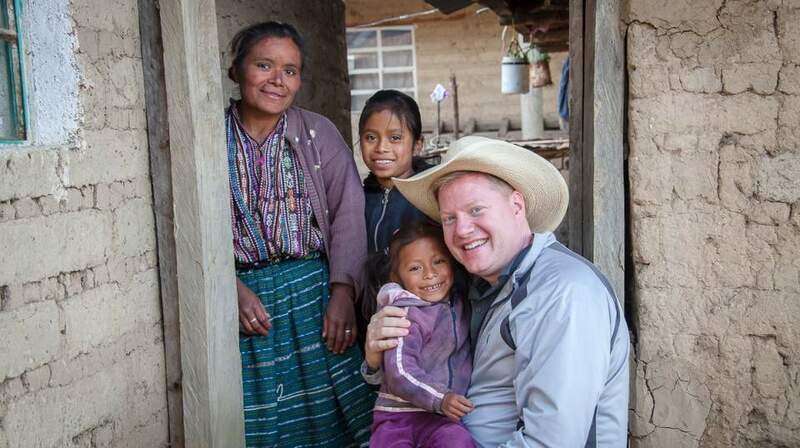 Meet AnnaMaria and Velma from Guatemala. AnnaMaria invited us into the two-bedroom dwelling she shares with her husband and two daughters in El Barranca, Guatemala. A single lightbulb inside remained unlit, as she and her husband lack the financial means to pay for electricity. Similarly, their access to a temazcal--a type of traditional sauna used for bathing--is limited to only once per week, because the wood used to heat the water is too expensive for them to purchase daily. Their restricted income translates to their diets as well. On a typical day, the family can only afford to eat tortillas and fava beans, which fail to provide proper nutrition and sustenance. Although the family owns chickens, the nutrient-rich eggs must be sold for additional income. The farmland around the home they rent has potential to grow rich crops, but the owners prohibit them from planting anything in the soil. 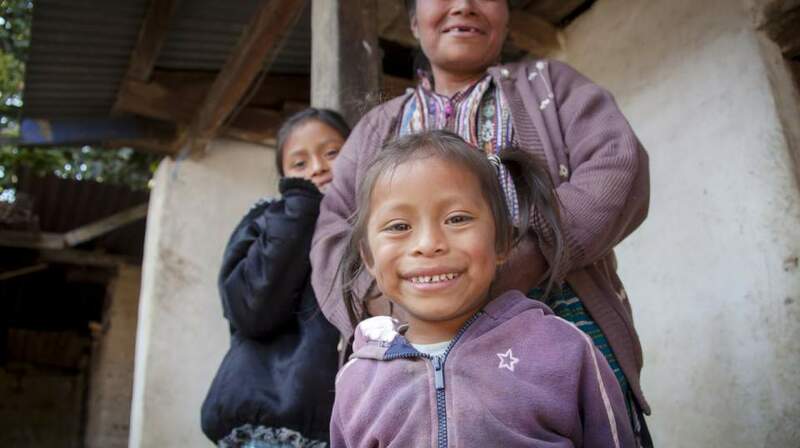 Such a limited variety of food and nutrients, combined with inadequate hygiene, puts the family, and particularly AnnaMaria’s 3-year-old daughter, Velma at a greater risk of illness and disease. Doug, a Board member visiting with us, noted the early signs of malnutrition in Velma. As they played on the dirt in front of Velma’s home, he noted her brittle, brown hair, with tinges of orange, which is one of the visible symptoms of malnutrition. Thankfully, young Velma is now receiving the vitamins she needs to help her growing body and mind thrive, despite the lack of access she has to healthy foods. With a stronger immune system, she is better prepared to fight common infection and illness that is prevalent in her community. AnnaMaria said it would be a dream come true for her daughter to receive a greater education and to hold a professional job one day; specifically, she aspires for Velma to become a teacher and educate others. Give the power of vitamins.